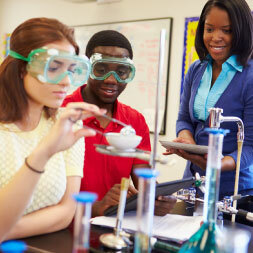 Learn how to safeguard health and safety in a school science laboratory. This Safety and Health in the Science Laboratory for Teachers course will help teachers of the Science subjects improve their knowledge and understanding of safety, health and welfare, particularly within the science laboratory. Upon completion of this course you will be able to easily identify hazards and risks in the science laboratory. You will be more aware of laboratory rules and of accidents that can occur in a laboratory. You will be able to implement practices to prevent these accidents. You will learn all about physical, chemical and biological hazards. This course will give you a good knowledge of how to successfully manage a science laboratory in a safe manner.